i2 Business Angels is Austria’s most important and independent matching service between start-ups looking for investments and seed & early stage investors. The investors are mainly angel investors, but also include seed funds, family offices and strategic investors. The service is provided by the Austria Wirtschaftsservice, the public funding agency of Austria. Its goal is to provide quick, genuine and reasonable access to equity via the matching of angel investors and companies and thus the creation of an organized market for venture capital. Established in 1997, it now consists of more than 300 active investors and is constantly welcoming new members. The i2 Business Angels team provides them with a preselected high quality dealflow of regional early stage companies from all industries. Thus, every year, around 60 promising startups are presented to the investors in form of a concise investment summary. 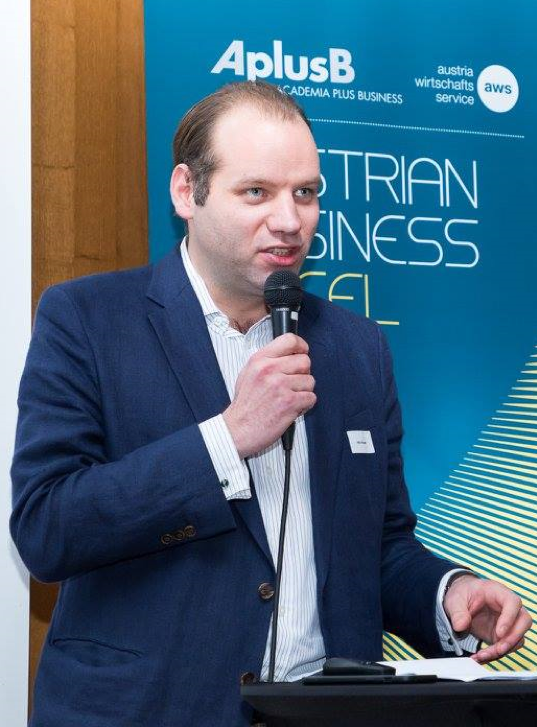 Additionally i2 Business Angels hosts up to 6 high class investor gatherings a year, including the well known Business Angel Summit Kitzbühel (since 2015) and the Austrian Business Angel Day (since 2009). To date, 181 deals with a total sum of € 31.22 million have been triggered via the matching service. Important: This is the amount of capital provided through our service and not the amount of capital totally provided by our members in any target companies. i2 Business Angels collects its deal flow from different sources, i.e. in-house, as Austria Wirtschaftsservice offers a broad range of grants, guarantees, loans and services for Austrian companies of all stages, down to pre-seed. Furthermore, Viktor Pasquali, i2 Business Angels’ Program Manager, is dedicated to look after the program’s partners (more than 250) and especially seeks the strong collaboration with Austria’s AplusB-centers (partly funded by the Austria Wirtschaftsservice), a network of start-up incubators with a connection to Austria’s universities. In 2017, i2 Business Angels was happy to announce its biggest success so far: Genspeed, an Austrian Biotech start-up developing quick testing systems for diagnostics, was able to acquire €3m via the network. So far, this is the biggest investment initiated by the program. Visit www.business-angels.at for more information and follow us on Facebook for current events and updates. If you want to get in touch with Viktor Pasquali directly – feel free to call him (+43 1 501 75 – 474) or drop him a line (v.pasquali@aws.at). We would love to be in touch with our EBAN peers!